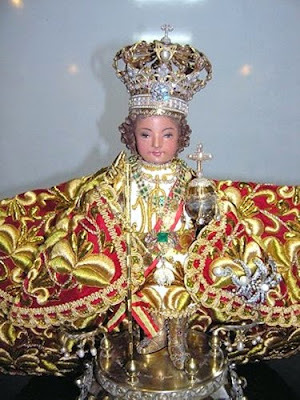 The statuette of the Infant Jesus in Cebu, the Philippines, has the honor and privileged to have been the first Infant Jesus image to be gifted by a Pope with a golden crown before the more renowned image in Prague by the late Pope Paul VI in commemoration of the 4oo years of Christianity in the Philippines in 1965. The statuette was instrumental in converting early Filipinos to Catholic Christianity and the statuette was even featured in a Vatican postage stamp. 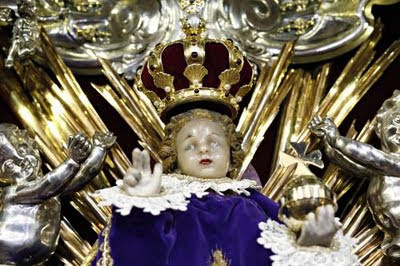 However, in November 2009, the statuette of Prague Infant Jesus whom people from all over the world implore for aid will as from yesterday wear the gilded crown that Pope Benedict XVI donated to it during his September visit to the Czech Republic, according to Carmelite Prior Petr Sleich. The royal crown that Benedict XVI donated to the Infant Jesus is decorated with eight shells that symbolise St Augustine. The crown was placed above the statuette in the baroque Church of Our Lady Victorious already when the Pope came to pray before it, but afterwards it was taken to a Prague goldsmith who fitted it with catches and added a velvet underlay. The royal crown that Benedict XVI donated to Infant Jesus is decorated with eight shells, the symbol of St Augustine. An inscription with the date on which the Pope donated his gift is beneath the crown cross. The crown is also decorated with genuine pearls and garnets. The crown is made of silver, gilded and polished up manually with agate. The Infant Jesus statuette has about 100 clothes, coming from various countries, for instance, China, Ecuador, Italy, the Philippines, Poland, the United States and Vietnam. Infant Jesus has been venerated by thousands of Catholics who pray to him and bring him gifts in belief of his miraculous healing power. The Holy Infant of Prague is a 47-centimetre-high wax statuette (including the base) with a wooden core, originally made by a monk in Spain. In the late 16th century, it was brought to the Czech Lands by a Spanish noblewoman, Maria Manrique de Lara, as her wedding present when she married a Bohemian nobleman. The statuette passed further into the hands of their daughter, Polyxena. In 1628, she donated it to the Church of Our Lady Victorious, belonging to the order of the bare-footed Carmelites. The Manrique de Lara family from the Canary Islands donated brocade clothes to the Infant Jesus in 1996. Some clothes, including a velvet dress with a gold embroidery from Austro-Hungarian Empress Maria Theresa from 1743, are on display in the church museum. 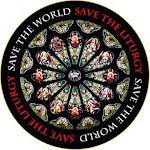 Most of the clothes are, however, in a depository or in a baroque wardrobe in the church. Source: 2009 Czech News Agency (ČTK).